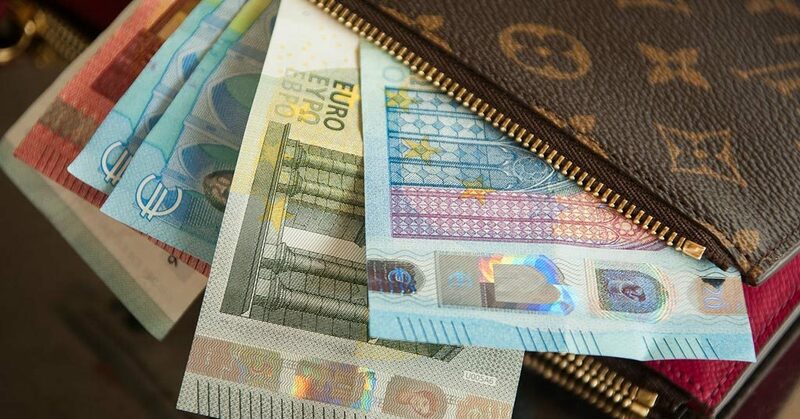 The problem of counterfeit banknotes continues to cause damage to business and citizens every year. 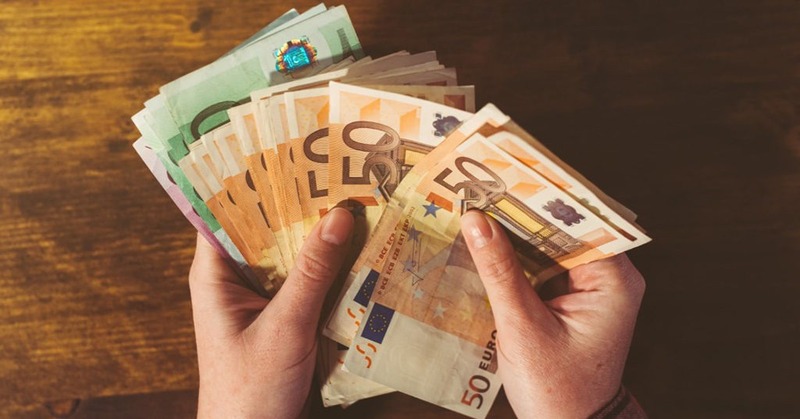 PaySpace Magazine will give you some suggestions on how to detect counterfeit euros, even if you don’t have specialized equipment within arm’s length. 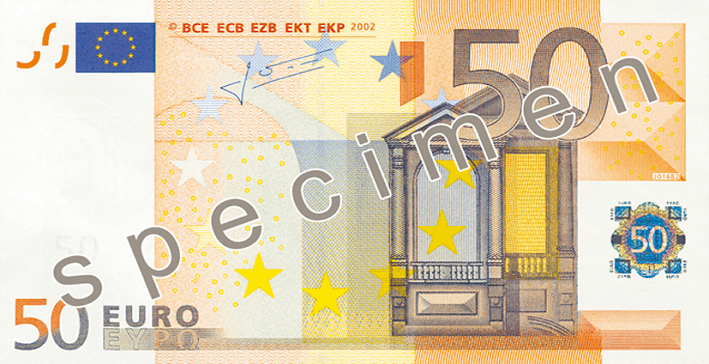 What do euro banknotes look like? 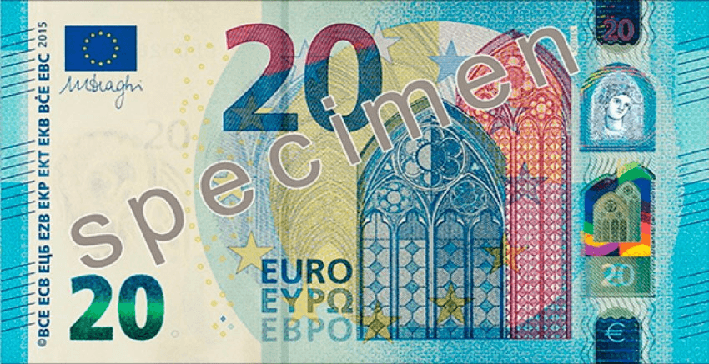 Before you check if the euro is genuine, you need to know what European banknotes look like: colors, sizes, and images of the different denominations. 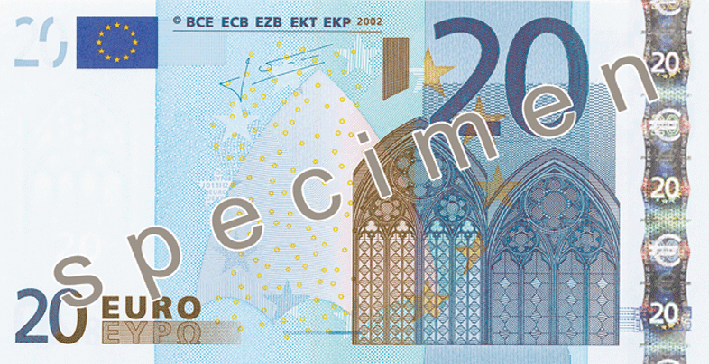 «2002 Series» with 7 denominations: €5, €10, €20, €50, €100, €200, €500. 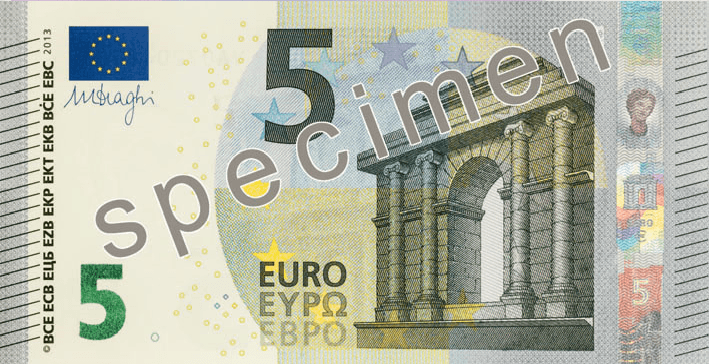 «Europa Series» with 4 denominations: €5, €10, €20, €50. 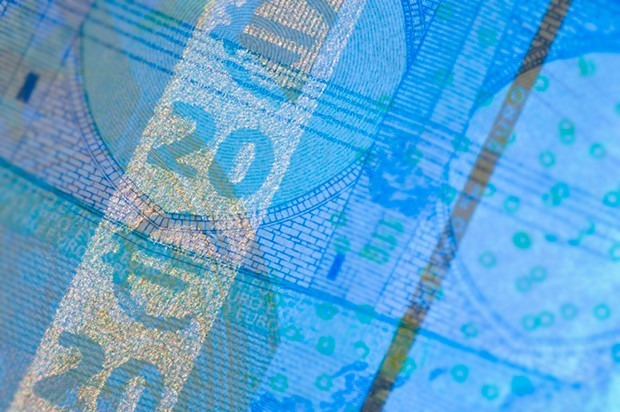 The first bills of «Europa Series» entered cash flow in 2013. 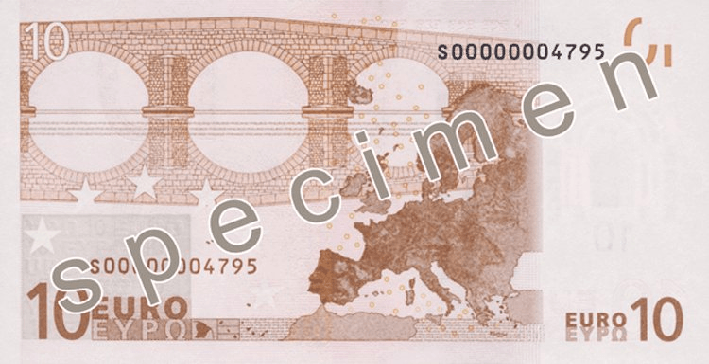 -Banknote must be dense and rough due to the distinctive cotton paper. 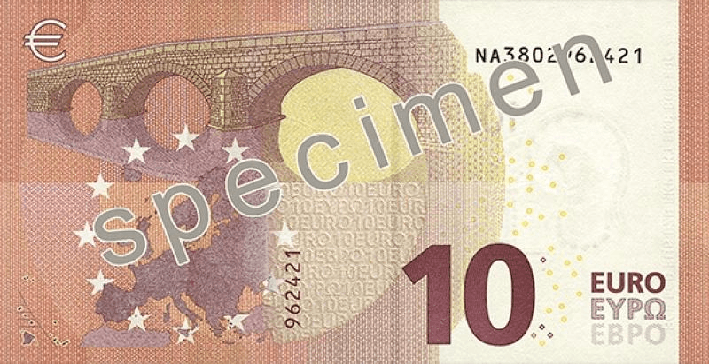 -When you hold up a genuine note to the light, you will see the watermark, security stripe with the denomination number and the word “EURO” (new series just have “€”). 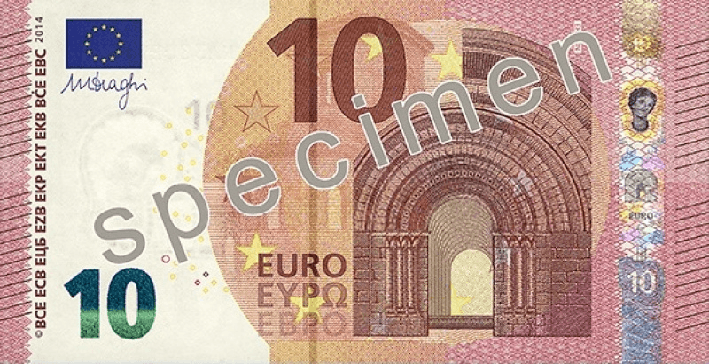 -The hologram and security stripe on fake euro notes may change their colors if the banknote is tilted. The paper. 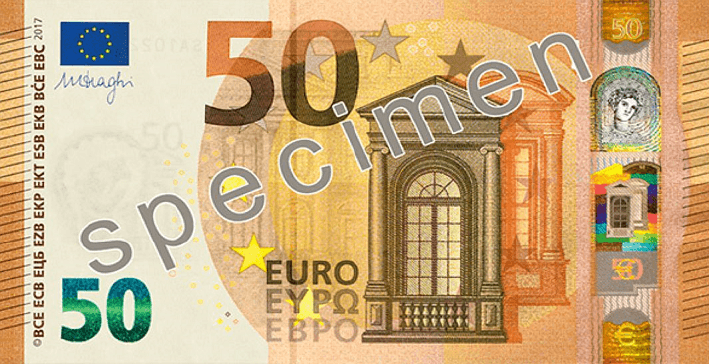 Euros are made of distinctive 100% cotton fiber. 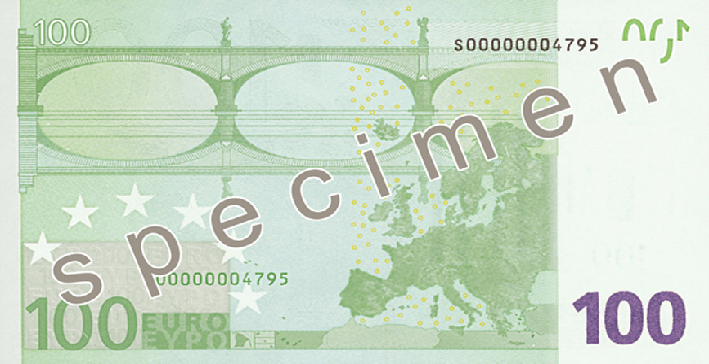 It makes banknotes durable and gives them their distinguishing feel. 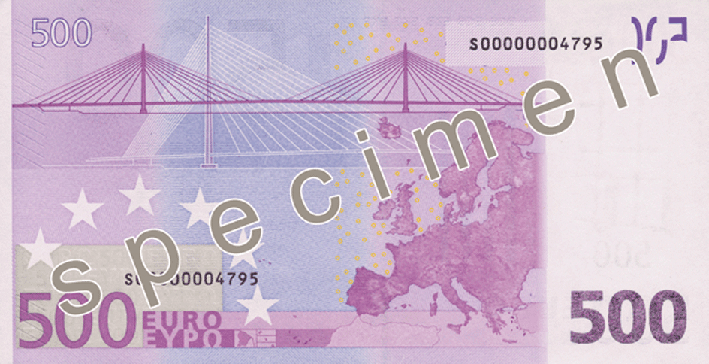 The front side of the bill is flat, meanwhile, the rear side of it is rough. The printing. 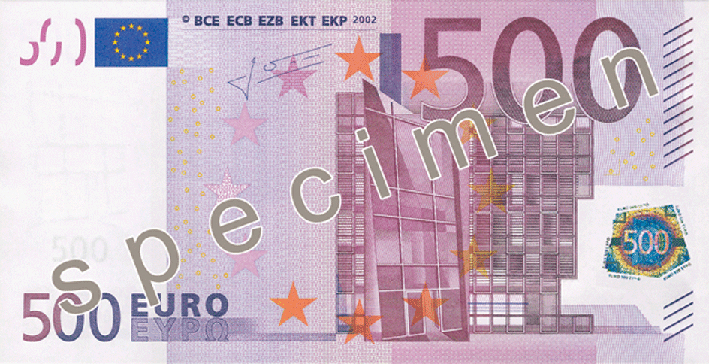 A special method of the printing makes it possible to distinguish the main image, the abbreviation of the European Central Bank in five languages, the issue date, the sign and the word “euro” and denomination of a bill by touch. 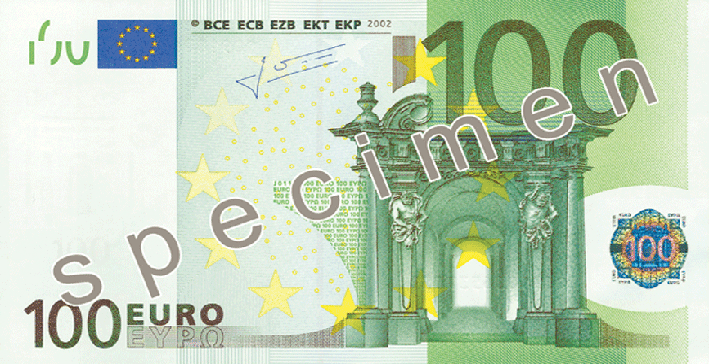 All these elements are located on the front side of the banknote. 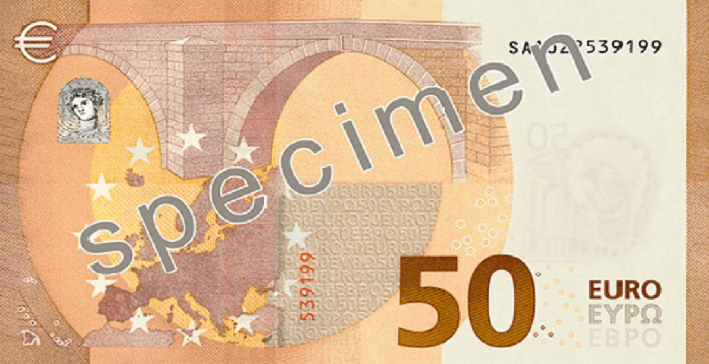 The bills of 200 and 500 euros are endowed with special marks for people with vision problems. The watermarks. 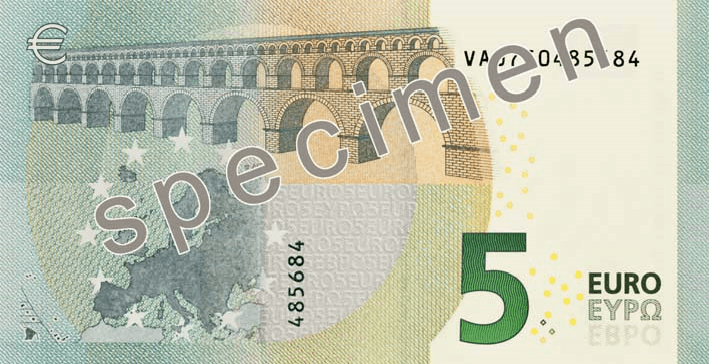 If you hold up the genuine banknote to the light, you’ll see images and numbers (on both front and rear sides), due to the varying thickness of the bill’s paper. The security thread. 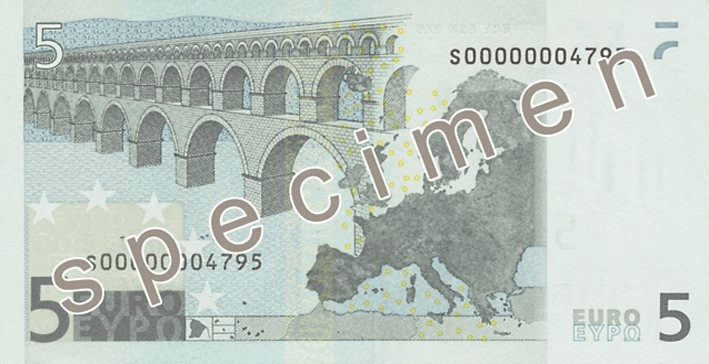 It is a vertical stripe, which is not printed on the banknote but is embedded within. 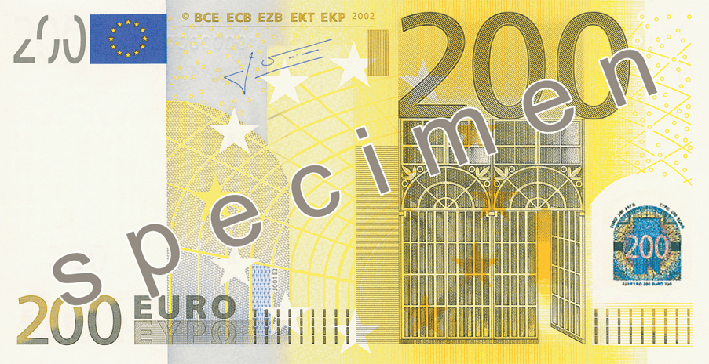 You will see the denomination number and the “EURO” word on it (or just “€” in «Europa Series»). 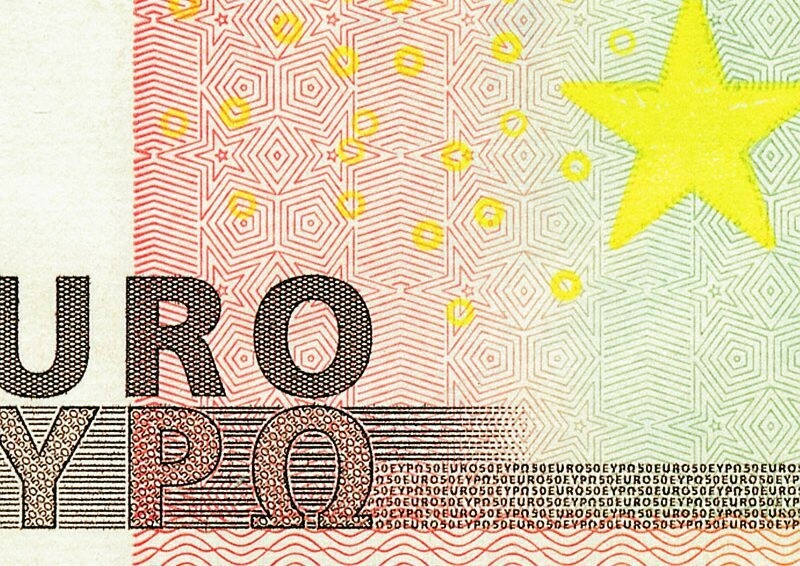 Taking a closer look, you can distinguish the micro-printing. 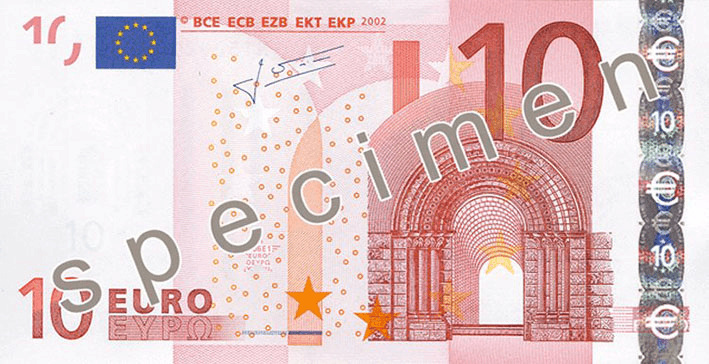 For example, EYPO in the Greek language) element and architectural ensembles are endowed with these micro-printings. 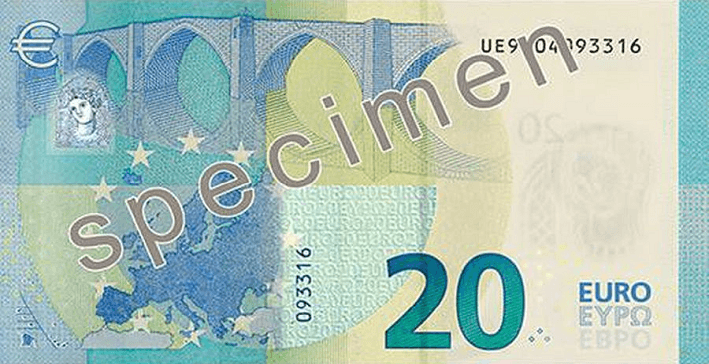 Some parts of a genuine euro bill will emit a “glow” when the note is placed under ultraviolet light: veins of red, blue and green in the paper structure, the EU flag in green and orange, the signature of the head of the ECB, the stars and a ring on the front side of the bill. 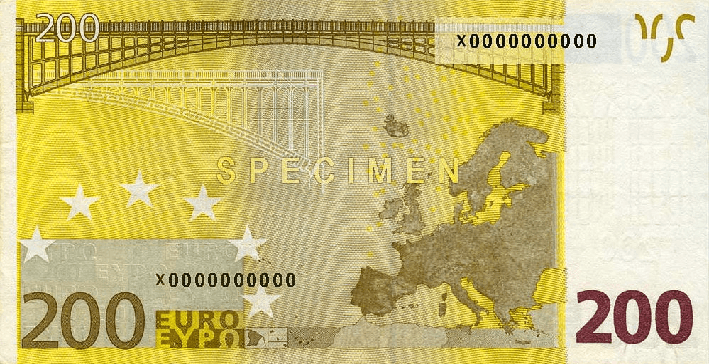 The map, bridges, and denomination on the rear side must emit a yellow “glow”. 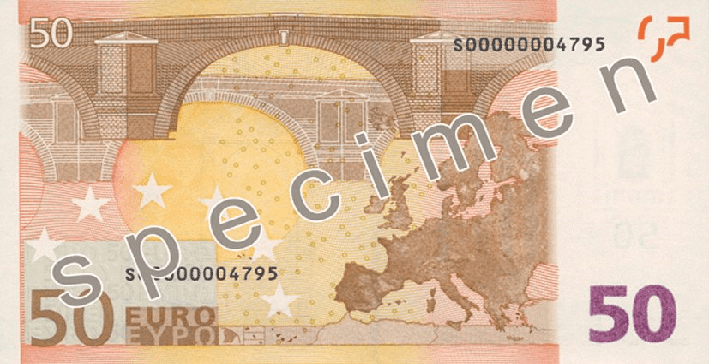 The unprinted part of the genuine paper stays the same. Infrared light makes some of the images and marks invisible. 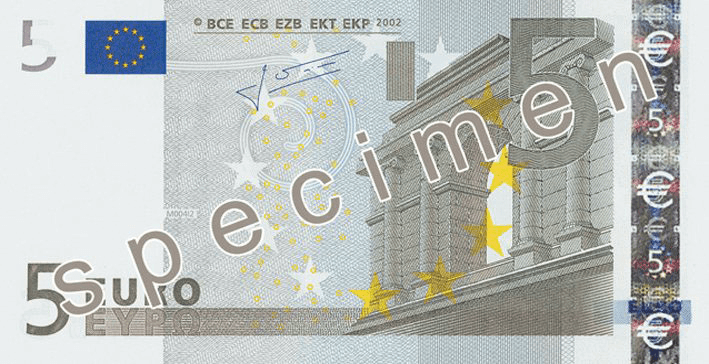 EURO and ECB are written in Cyrillic following Bulgaria joined EU. 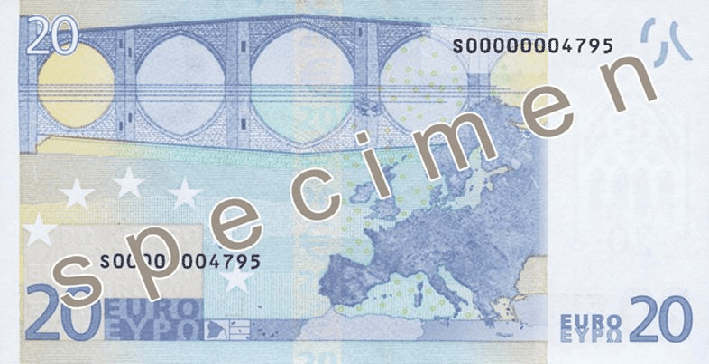 If all the images on the bill seem real, but you still have doubts about the banknote, you can check it with a calculator. 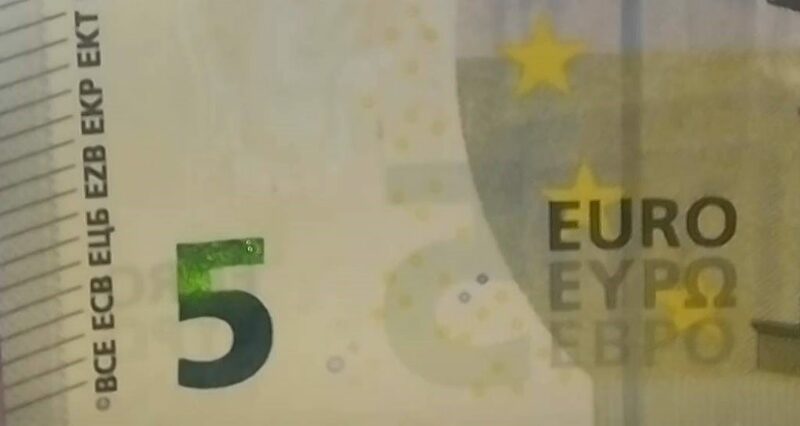 Now there is no doubt, the bill is real!